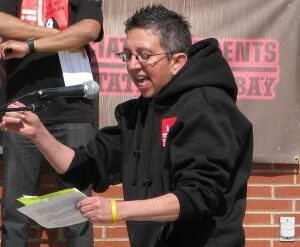 Luz Calvo is a professor of Ethnic Studies at Cal State East Bay. Her current research focuses on decolonization as a path to health. She is especially interested in the ways that native Mexican foods protect bodies from the diseases of development, including cancer, diabetes, and heart disease. She wonders if the low incidence of cancer in her BRCA2 family tree might be related to the fact that her ancestors ate a plant based diet, consisting of corn, beans, and healthy vegetables. Five years after I was diagnosed with breast cancer at age 45, I received a call from the genetic testing department of the cancer center where I’d had my treatment, offering me genetic counseling. In the rush of my initial diagnosis, I wasn’t a candidate for genetic counseling – an inherited risk of breast cancer didn’t seem likely. I don’t come from an Ashkenazi* family , and only two people in my family tree had been diagnosed with cancer: my father (prostate cancer diagnosed in his 60s) and his mother (breast cancer diagnosed when she was in her 80s). However, it seems that after my diagnosis in 2006, the criteria for BRCA testing changed and all patients diagnosed with pre-menopausal breast cancer were eligible to receive genetic counseling. I accepted the offer to have the counseling and eventually the BRCA testing. 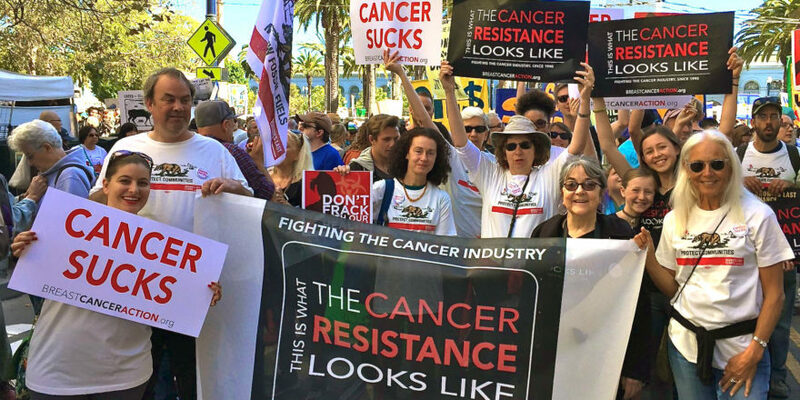 As someone who believes that environmental toxins are the major cause of most cancers, I was shocked to learn that I carry a known “deleterious mutation” on my BRCA2 gene, which in laypeople terms means I have a mutation of that gene that we know dramatically increases my risk of breast and ovarian cancer. Upon learning of my BRCA status, I immediately scheduled the removal of my fallopian tubes and ovaries in a procedure called a salpingo-oophorectomy. As a college professor and lifelong student, I approached this diagnosis just as I approached my initial breast cancer diagnosis: I set out to research and learn everything I could. I was especially curious to learn about my exact mutation: 886delGT. The geneticist at the cancer center told me my mutation was among those known to affect Latino/a populations and she enrolled me in a study underway at City of Hope to try to track BRCA1 and BRCA2 mutations in US Latinos/as. In my initial research, I found my mutation, 886delGT, listed in the National Institute of Health’s “Open Access On-Line Breast Cancer Mutation Data Base.” I also learned in my research that Myriad Genetics holds a patent on the BRCA1 and 2 genes and in 2004, stopped contributing data to this NIH database! The database showed only a handful of people with my mutation and I wondered how many more people had been found since 2004, but only Myriad Genetics knows about it. Myriad has found a cunning new business model: keeping the data they’ve collected from people’s bodies a secret! In testing people for BRCA mutations, they are amassing a great deal of information about our genetic make-up. And when Myriad collects your blood (and genetic information with it), they also collect your ethnic background and the types of cancer in your family tree. But instead of sharing this information, Myriad has decided to keep this information “private.” It is not available to researchers who are investigating future treatments or to doctors or patients who are making decisions about patient care every day. In my mind, this is nothing short of criminal. How is it that Myriad’s ability to make a profit outweighs people’s lives and treatment choices? How can information vital to the public good be kept secret, when the sole purpose of keeping that information secret is the profit margin? The science behind BRCA1 and BRCA2 is relatively new. The genes were only discovered to be linked to breast cancer in the 1990s. I feel that in my own case, and despite having studied all the published research on my mutation, I still have only a superficial understanding because very little research has been done on the exact ramifications of each gene mutation. As a Latino/a Studies professor, I am especially interested in ramification of genetic knowledge and testing for Latino/a populations in the US. We know that health disparities exist in breast cancer care and treatment across racial groups. Myriad’s patent on BRCA gene exacerbates these disparities. Did you know that black and Latino/a families are more likely than whites to have BRCA “variations of uncertain significance” (VUS)? According to Domchek and Weber, “VUSs are even more common in non-white populations, with frequencies as high as 46% in African Americans and 22% in Hispanics (See: Journal of Clinical Oncology, Vol 26, No 1, 2008: pp. 16-17). Currently, because Myriad’s business model is to create a “private database containing information vital to interpreting the clinical significance of human genetic variations” (Genomics Law Report), only Myriad has the data to begin to determine whether mutations of uncertain significance are benign or deleterious (i.e. linked to high cancer risk). They are not sharing this data with the NIH, researchers, providers, or patients, thus leaving black and Latino/a populations (who are most likely to have these uncertain variants) to suffer. I’m taking a stand now for all the families with BRCA mutations. We have urgent need for research in this area. The science is new but its development is being stunted by Myriad. We need open access to information about breast cancer. This information is vital to protect our lives, our futures, and our families. Our health is more important than a corporate bottom line.